OK, but what does i7 really mean? Why are i7 processors better than i5? Is there a processor line better than the i7? If you’re reading this now, it’s because you want to find the best i7 laptop for your CPU-hungry applications. But there are just so many options to choose from, and that number is always increasing! That’s why we took the initiative and decided to find you all the best i7 laptops available in 2018. We’ve looked at every i7 model in the market and come up with 5 contenders for any kind of user on any budget. The MSI Stealth Thin remains one of the best i7 gaming laptops available. There’s a newer model from our previous look at i7 options now that boasts an even better graphics card, however. 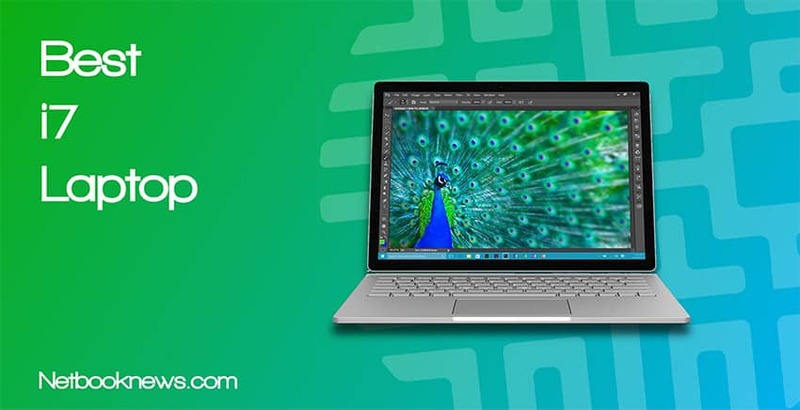 We still stand by the Surface Book 2 as one of the best overall picks for graphic design and video editing. Keep in mind that newer models with more storage space are now available! Going with an i7 processor means you’ll have better speeds for multitasking. In particular, these models are all meant for running multiple programs or web browser tabs simultaneously. You will also get better performance with multimedia activity such as music, video streaming, gaming, and so on. There’s a very wide range of models available that include i7 processors, however. If you plan to use high end video editing software, your needs will differ from someone who just wants to surf the web or from someone who wants to play new games. 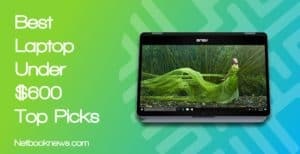 Below we cover the best i7 laptop models currently available at each price point and for each individual type of use. Ready to make the leap to an i7 processor but aren’t ready to spend big bucks quite yet? This should be your pick for the best affordable i7 laptop. Need to save money but still want to get the i7 experience? The HP Jaguary 15 is going to be your best bet. The new asking price is actually just over $500, but if you pick up a used or refurbished model, you can get it well under that price threshold. It goes without saying that you sacrifice some power when picking a budget option. The Jaguar includes a 7th gen i7 (most of our contenders stick to the newer 8th gen), and is only a dual core unit, rather than quad or six core. That being said, you can’t really expect to find better specs at this price point. If you are mostly web surfing or performing light school and office work, you won’t need a better processor anyway. There are a couple of elements we really like about this model that stick out for the size and price range. You get a full size keyboard (including the 10 key section), and this is also a touch screen display model. Next up you, get a DVD-RW drive, which many still find useful in this increasingly digital-only world. There’s no shortage of port options either, from HDMI to Ethernet to USB. On the downsides, the 1TB hard disk drive means slower boot times, even though you get lots of storage space. If you absolutely need a solid state drive, check out the other contenders instead. If you want to save even more money and go below $400, the refurbished Dell Latitude E6430 boasts an i7 processor. 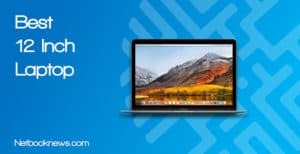 There are a few big trade offs for that price reduction however, as you get a much smaller keyboard and the storage capacity drops down to 128GB. 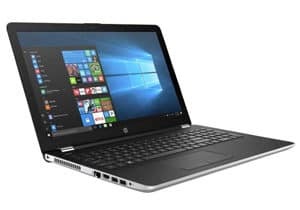 Went an excellent well-rounded i7 laptop with plenty of options? Check out this Pavilion model if you don’t mind spend in the $800 – $1,000 range. HP managed to land double spots on this list for both the best sub-$500 and the best sub-$1,000 contenders! 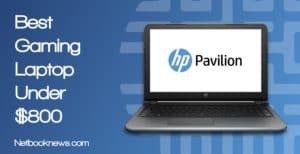 In our under $1,000 category we present the HP Pavilion 15t, which offers a little bit of everything. With this model you get a touch screen, a new 8th gen i7 processor for fast speeds, and plenty of storage space. Despite boasting a full 15 inch display, this unit weighs just over 4 pounds, which puts it on par with much smaller computers in terms of weight. There’s no DVD-RW drive here, but you do get a full size backlit keyboard for the desktop replacement experience. Really only one downside is worth mentioning with this model, and that’s the memory. You only get 8GB, but for most average computing needs that is more than enough. Some users need the full 16GB however, and going that route is good for future-proofing your machine. If you don’t care about finding a model with a touch screen and want 16GB of RAM, go with the Dell Inspiron 15 5000 instead. 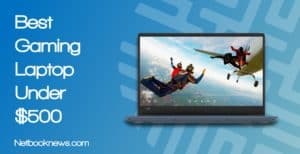 While you lose the touch display on the Inspiron, you get a dedicated graphics card and more memory in exchange, which is an excellent choice for gamers or for video editing tasks. Are you more concerned with gaming than with having a touch screen or a hybrid device? This should easily be your top i7 laptop pick, especially if you want a thinner and lighter model! Spending a large amount of cash on the best gaming laptop should be worth every last penny for future-proofing. Your pick should still be able to play games in the next 2 years and beyond without breaking a sweat. With those requirements in mind, we picked the MSI GS65 Stealth THIN-053 as the best i7 gaming laptop. 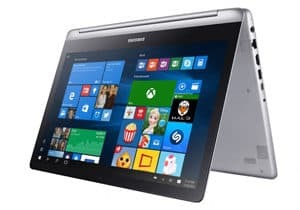 It boasts an i7-8750H processor with 9MB cache propped up by turbo boost technology. Without a doubt, this is more than enough to ensure that there will never be any form of compromise in speed. The GTX 1070 graphics card is more than capable of running absolutely any game at ultra settings without losing frame rates.Want to jump into VR? That’s covered as well. 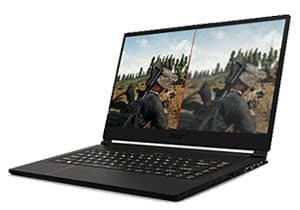 Aside from having no compromise in speed and graphics, gaming on this laptop will give you a premium feel with thin bezels and a very lightweight chassis. Experience lightning fast loading and boot times with the 512GB SSD and 16GB of DDR4 RAM. Best of all, gaming won’t be an issue even in dim areas, thanks to the per key RGB keyboard. Finally, the MSI Stealth series manages to outclass the competition in terms of battery life. Most high end gaming laptops give you 2 hours tops, but you can get significantly longer play time than that on a single charge with this model. 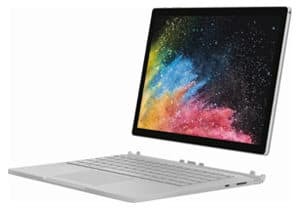 There’s no question you should pick the Microsoft Surface Book 2 if you’re looking for the best i7 laptop to maximize your video and image editing needs. Performance, versatility, and productivity – this is what defines the Microsoft Surface Book 2. We decided to tailor this as the best i7 laptop for graphic design in 2018 because of how specific parts are put up together to meet a video or photo editor’s needs. The Surface Book features a powerful i7-8650U quad-core processor with a max turbo of 4.2GHz. This makes it possible for you to do extreme video editing with no need to worry about speed hiccups. Not that the 15” display uses an IPS panel but this also has a resolution of 3240 x 2160. This means any video or image editing will be very accurate since color reproduction is rich and vibrant on a such a high resolution. Large video files won’t be a concern since the Surface Book 2 has a whopping 1TB of SSD storage! If you prefer to work free hand, the touch screen works well with a stylus as well. This is what we personally recommend for graphic design tasks since the screen can be detached to maximize productivity. The dedicated graphics card also means the laptop won’t ever stutter or slow down during video-intensive processes. There is one downside to keep in mind if you need to hook up to external displays however — the Surface Book unfortunately doesn’t include an HDMI port. Looking for a machine that can handle any task admirably and gives you a flip design? Look no further than the Samsung Spin! For the “best overall,” we’re going to look at a device that packs a ton of different features and functions into a single package. This is a jack of all trades, even if it may be a master of none. First up, this is a hybrid 2-in-1 device that can flip around in multiple settings. You don’t lose any screen size for that feature though, as it remains a 15 inch display. In terms of specs, the Samsung Spin sits solidly in the middle of our contenders. You get an i7 processor, 12GB of RAM, and a dedicated graphics card. It can’t beat the MSI Stealth for gaming, but this is still a very solid machine for any task, whether that’s playing games, editing video, or just simply streaming videos. If you don’t need a dedicated graphics card and prefer an SSD over an HDD, there’s another option to consider. The HP Spectre x360 is one of the highest rated hybrid devices out there right now with an i7 processor. While you lose a bit on the graphics front, you get a spacious 512GB SSD in exchange, which offers faster boot up speeds. Computer processor, for both desktops and laptops, come in a dizzying array of names. You’ll see names like Kaby Lake, Coffee Lake, and read descriptors like i3, i5, and i7. At the moment, the i7 line of Intel processors are among the best available, offering faster speeds than older i5, i3, Celeron, and Pentium models. We recommend you get the U-series i7 for heavy multitasking tasks or for daily work tasks, one with an 8MB cache memory. This should be enough to give you the processing power and thrust to do everyday work tasks and processes without a need to spend a lot of money. Hyperthreading on the other hand is a processor’s ability to perform and process data faster. This acts as a multiple-processor processing data at the same time. With more threads working together, the workload is cut significantly. Most i7 processors have four to six cores, while a few still stick to the older dual core model. More cores means more ability to multitask without slower speeds. The i7 series also features faster speeds while engaging in Turbo Boost, which increases the clock speed when fewer cores are in use. This is basically built-in overclocking, so you don’t need to make any changes yourself. Critically, the i7 line includes a larger cache than i5 or i3 models. The cache is used for storing numbers during repetitive tasks, like updating spreadsheets, working on a text document, and so on. 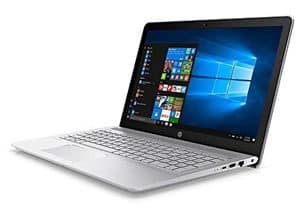 When performing those sorts of tasks, you will get a much smoother experience with any of our best i7 laptop contenders. As with all technology, there’s always something new and better on the horizon. Of course, there is actually a higher end CPU line available now, and its referred to as the i9. With the i9 version, you get increased speed, extra cores, and even better cache sizes. You will pay a premium to get such cutting edge tech in a laptop, however. 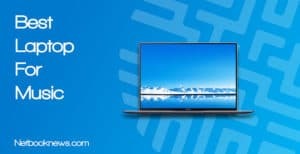 For the time being, laptops equipped with i9 processors are usually double (or more) the cost of their i5 and i7 counterparts. For most users, that level of speed just isn’t necessary. Whether you need to stick a budget under $500 or want a high end gaming or video editing machine, one of our contenders for the best i7 laptop should fit your budget and usage. Having a hard time choosing which is best for you? Hit us up down the comments and we’ll be happy to help you out.